The Showcase of the Immortals, the show of shows, the grandest stage of them all; the list of nicknames goes on. WrestleMania is the place where dreams are made and where great matches are thrown in front of audiences at large stadiums. WrestleMania 35 is certainly shaping up to have great matchups from WWE Superstars who might have the last matches of their career to a start of a new WWE legacy, a first-time main event in WWE WrestleMania History and an underdog who just wants his reward for years of hard work. 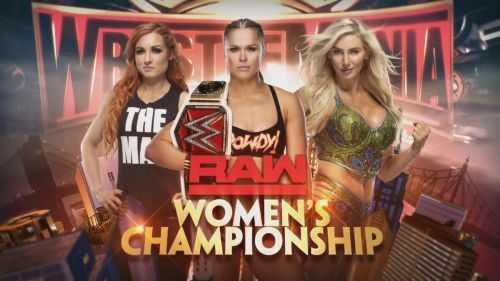 While there are a rumored 17 matches at WrestleMania 35, only a few matches could realistically steal the show in possibly the longest PPV in WWE history. 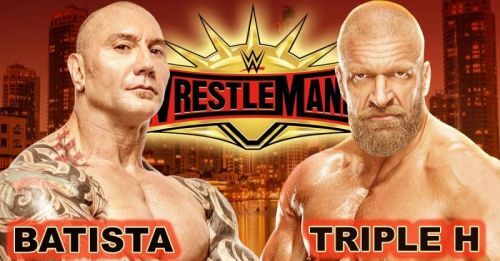 Here are 5 Matches that could steal the show at WrestleMania 35. The groundwork has already been laid for this match. Some could argue that it was years in the making. The storyline writes itself. When Batista returned in 2014, he came in as a face winning the Royal Rumble that year. The problem was that it was the year of Daniel Bryan. His match with Randy Orton became a three-way for the WWE World Heavyweight Championship at WrestleMania 30. This led to a short-lived reunion of Evolution. It suffices to say that Batista has always done his best work when he plays the heel. While he has been away from WWE for a while, he has been starring in everything Marvel with Guardians of the Galaxy and Avengers. He even had a small but effective role in Blade Runner 2049. When Batista attacked Ric Flair on his 70th Birthday, those acting skills and nuances that he has picked up came to the forefront. It was believable and further advanced the storyline. Moreover, by making it a no-holds-barred match, it can cover any ring rust that Batista may have. It should also be taken into account that the two men are 50 and 49 respectively and that putting feats of strength and athleticism may not be possible. But as mentioned before, it's more to do with both characters coming full circle and Batista wanting to challenge HHH as Triple H never beat him one-on-one. Moreover, Batista said that if he returned to WWE, it will be in a retirement match and most likely against HHH. While WWE has not said that this is the case, it's more likely that WWE will induct Batista into the WWE Hall of Fame in 2020 after he has retired.